Consistently ranked among the top agents in coastal South Orange County, Chris has received several awards from Honors Society to Top Real Estate Social Media in California. 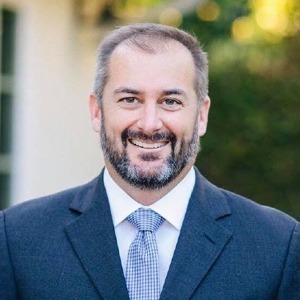 Chris is regularly featured in the press for real estate, as well as leadership within his community, within such publications as Los Angeles Times, Laguna Beach Independent and Orange County Register. "Chris was simply the best! We are from Chicago and searching for a second home in Laguna Beach. We had very little knowledge of the area. Chris took the time to understand what we were looking for and found the perfect home for our family. He did an excellent job as we negotiated for the home and stayed highly involved until closing." "Chris and his team are top professionals. His background in architecture was a true asset in preparing, staging and marketing our property. A real expert in negotiation, Chris and his brokerage were able to help us navigate through a difficult escrow and obtain above what we were expecting. We will definitely work with Chris again." "Chris was wonderful to work with – patient, thoughtful, and hard working. I always felt that he listened to my thoughts on what I was and was not looking for in terms of my first home. It was a nerve wracking and confusing process since it was my first time buying a property, but Chris quickly put me at ease and his diligence made me always feel like I was in good hands." "Chris is THE BEST. Truly, from start to finish he helped us get into our dream home with ease. He was available at every call and every turn for us to look at properties… and once we settled on the one we wanted he fought for us to get our offer approved, even against an all cash offer. Chris calmed my nerves and explained everything thoroughly. Flexible, Honest, Professional, Accommodating and Knowledgeable." "You are a mighty noble lion and we are forever grateful to you. You helped us negotiate through an incredibly cumbersome process." "I'm from out of state and was referred to Chris from a friend of mine in Laguna. I was on an extremely short time line to find a property. Chris was readily available and made a very efficient use of our time together. Professional and prompt! He showed and educated me on the current Laguna market. He ended up negotiating an advantageous deal for my investment goals. He performed over and above, before, during and AFTER the sale. Professionally and personally he has the utmost integrity and has absolutely won over my respect. Chris is one of my favorite people in Laguna and am honored to call him friend. " Whether his clients are buying or selling, Chris utilizes his background in architecture to help his clients make smart financial choices. Chris also pride's himself having a vast network that informs him first of off-market and pocket listings before other agents. Chris is a licensed real estate associate at Compass. An award winning agent, Chris is an expert in the South Orange County coastal real estate market, including Laguna Beach, Monarch Beach, Dana Point, Laguna Niguel and surrounding areas. Having previously worked on the design side of the real estate business, Chris applies his degree in Architecture from Cal Poly to advise both buyers and sellers in making smart financial choices. It is Chris' commitment to bring the highest level of service and confidentiality. Chris has earned to nickname "gentle lion" when it comes to negotiating on behalf of his clients. A native of Orange County, Chris lives in Laguna Beach with his husband and ten year old twins. Chris brings his passion for helping others into his business and into his community. He has served on the Executive Board of Directors to the Laguna Beach Chamber of Commerce and Board of Trustees for SchoolPower, the Laguna Beach Education Foundation, of which he donates a percentage of every commission earned.